Compact cutter, easy to operate, guarantees an above-average performance and excellent cutting quality. 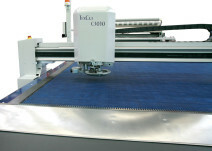 Ideal for cutting fabric, knitwear, technical textiles, special and composite materials. Fast and flexible work with a wide variety of models. 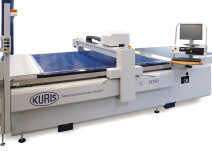 Compact system, easy to operate with an above-average performance and excellent cutting quality. Best dynamic qualities and speed of this system provide a multifunctional application within the industrial series production. 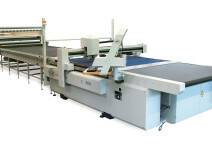 The economical production of series is an important feature of the “TexCut C 3030”. But also small batch quantities can be produced without big changes. Innovative cutter technology in combination with an attractive quality-price ratio are the main features of this system. 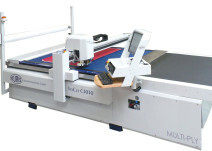 The CNC-Cutter “TexCut C 3030” combines productivity, flexibility in the application and generous workspace at small base. 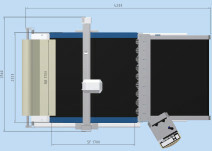 With high production quality and low unit costs this machine is offering you a competitive edge.